The last couple of Field of View columns have been especially action-packed, so we're honestly a tad relieved to get a bit of respite. That said, there have of course still been plenty of happenings on the virtual reality front. This week Facebook announced it was launching its first dedicated VR app, Facebook 360, while we took a look at a truck that delivers virtual reality to your door, and how VR could save your attention span. We also discussed how VR is getting more social, and looked at some of the HTC Vive's latest and greatest games. But what else has been going on in the world of VR this week? Let's investigate. If you've been following the goings-on in the VR world, you should be pretty aware of the dispute between Oculus VR and Zenimax. The case came to a head when it was ruled Oculus would pay Zenimax half a billion damages over a breached NDA and the use of certain code, but it's not over yet. 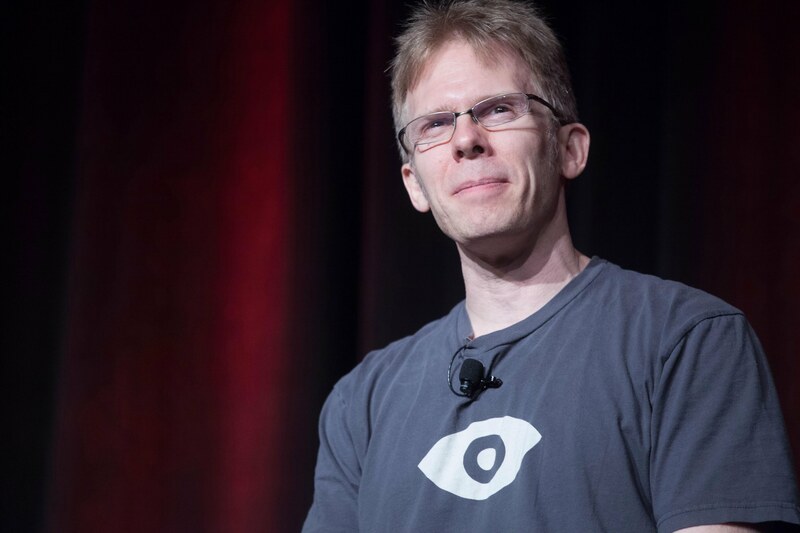 This week it was revealed John Carmack, CTO of Oculus VR, was suing Zenimax for $22.5 million that he says he was owed after Zenimax Mexia bought his game studio, id Software, in 2009. Last year, Coachella festival goers got an extra little surprise in their welcome packages: a VR headset that let them explore the festival grounds, watch artist interviews, and view 360 images. This year it tells us it's giving the app an augmented reality spin. Now the headset will reveal AR "touchpoints" and other secrets in Coachella Valley, so you'll probably want to take it along with you (if you're lucky enough to have bagged a ticket). You'll be able to do it with a headset like Google Cardboard, but you can just do it with your phone alone if you'd prefer. We've seen plenty of news networks experiment with virtual reality, and this week CNN announced it will launch a VR platform called CNNVR, as Engadget reports. The network will be adding a bunch more 360 video content to its iOS and Android apps, and be viewable across VR devices including the Oculus Rift and Google Daydream. You can read more at CNN's press room. Weren't quite satisfied with The Martian VR Experience? That's ok, you've another chance to visit the Red Planet with Unearthing Mars, which launched on PS VR this week. We gave Winking Entertainment's game a go at this year's GDC where we played a particularly intense section of the game, but we liked what we saw. At two and a half hours long, it's fairly substantial, spanning across 10 different levels as you fly to Mars and - tiny spoiler alert - ultimately end up battling massive space monsters. There are a lot of 360 YouTube videos to peruse right now, but YouTube knows that gaming is a particularly popular spectator sport, which is why this week announced it had pulled a bunch of 360 gaming vids into a playlist called 'Step Into The games'. From Halo to Minecraft, there's a lot to see, and we'd recommend strapping on a Google Cardboard or Daydream headset for the full immersive experience.